Hello fellow members, esteemed guests, and all the rabble! Please join me in saying a big "Thank You!" to the following Heads of Gaming as they will be running the following events this year at OFCC 2019. While this is our current list of events, we can and will add more. If you want to run an event, have an idea for one, know someone who wants to run something, send me a PM! or @ninefinger or @Raindog! We want to hear from you and make this a great weekend. As details emerge, you will be able to click the link for each event to be taken to the respective subforum that contains all the information you need to attend. Master Schedule is posted here. Thank you everyone! Hotel Information is found in this thread. All the events are now linked out to their corresponding forum thread with information about the event. Shaping up to be another great event! Two INFINITY events added. Please join me in saying a big THANK YOU to @Exile for carrying the Infinity torch (lightrod? glowglobe?) and running a Friday and a Saturday/Sunday event at OFCC 2019. And another special THANKS to @FKA Obscure Reference for adding in a BOARDGAME TOURNAMENT on Saturday. More information to come on both events. Keep watching this thread for updates. Thanks to @peter.cosgrove, OFCC 2019 will be hosting a Warhammer 40K ITC RTT on Friday, August 16!! Please join us in saying "THANK YOU" to all our HoGs who volunteered to run events at OFCC 2019. We will release the Master Schedule and Tickets this week so please stay tuned to this thread for updates. Tickets posted and Schedule uploaded. More updates to come! 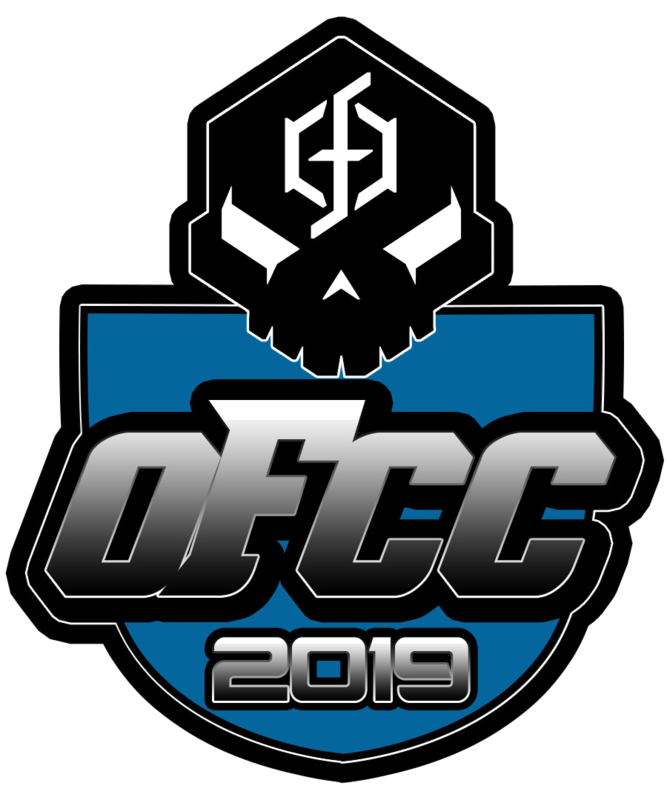 updated www.ofccgaming.com to reflect all the events, added new OFCC 2019 logo and moved this thread to the OFCC subforum. Special Thanks go to @Jay and everyone else who helped design and make the logo happen this year!